CLASSICAL BRIT award winners Only Men Aloud are returning to St David’s Hall for their annual homecoming Christmas concert on Saturday 12 December – but hurry only limited seats are remaining! Their gig is always one of the most anticipated in the festive calendar, and the amazing vocal ensemble will perform a medley of Christmas carols and rock hits. 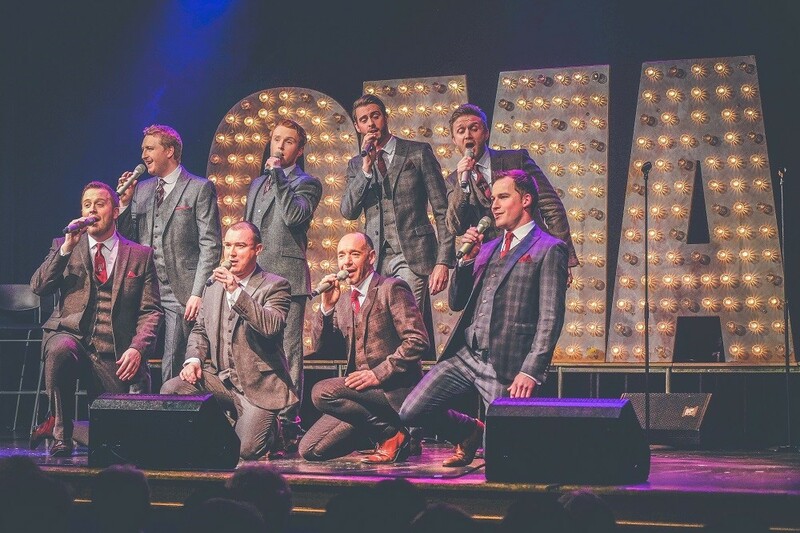 The spectacular show will follow the release of Only Men Aloud’s acclaimed latest album On The Road, which was released in September. Since winning the BBC’s Last Choir Standing in 2008, Only Men Aloud have embarked on some incredible experiences from scooping a Classical BRIT Album of the Year Award for Band of Brothers in 2010 to performing at the 2012 Olympics Games Opening Ceremony. For their St David’s Hall show you can expect their usual exquisite vocal delivery, trademark wit and musical panache as they effortlessly master everything including traditional Welsh music and opera, plus covers of classic artists such as Tom Jones and Coldplay! Add some sparkle to your festive season with Only Men Aloud! Limited tickets are still available priced £26 (plus a £2.95 Ticket Service Charge per transaction and an optional 95p postage fee).